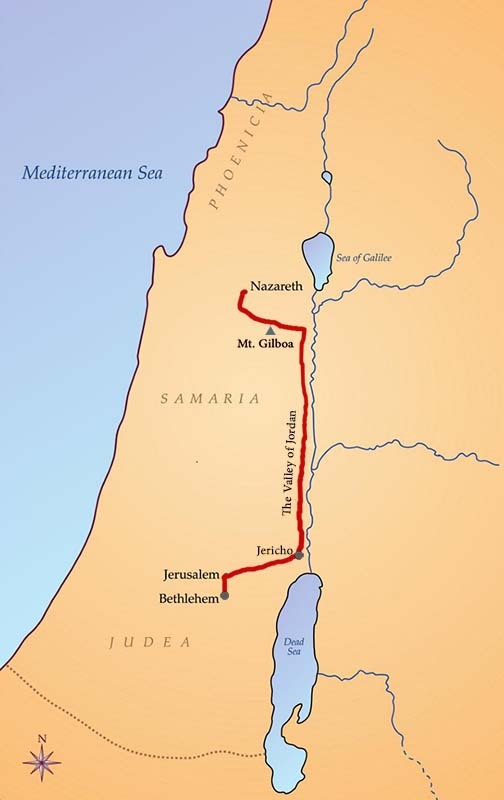 ~ of Mary and Joseph just before Jesus was born, we make our way toward Bethlehem. It takes us about 2 hours by bus. Imagine the journey by donkey! Click on the Valley of Jordan. And finally, click on Bethlehem.